Grameenphone 1GB 16 tk Boishakhi offer 2018. Gp 1GB 16 Tk. Gp brings a new internet offer, where customers can enjoy 1GB internet at only 16 tk.This offer is specially for celebrating Boishakhi Utshop 2018.To enjoy the offer dial *121*3350#. 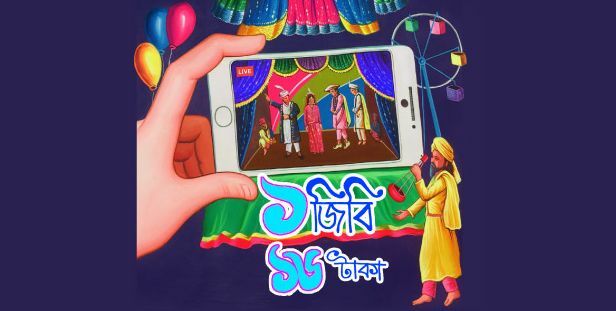 Under the Grameenphone Boishakhi offer 2018 all the Gp customers will be eligible to enjoy 1GB internet at only 16 tk. so don't wait enjoy the offer now. if you have any questions about Gp 1GB 16 Tk Boishakhi Offer 2018, then comment below we will replay you back soon. how I will get 1 gb only 16 taka? how I will can buy 1 gb only for 16 taka? I can't get 1GB 16TK pack. How can I get it now?